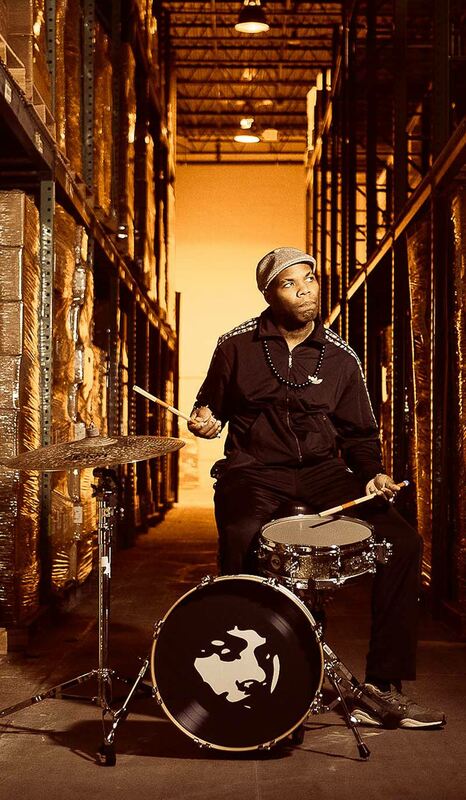 The genre-bending drummer, Daru Jones, has lent his name to a PDP New Yorker drum kit that is as versatile as his resume! 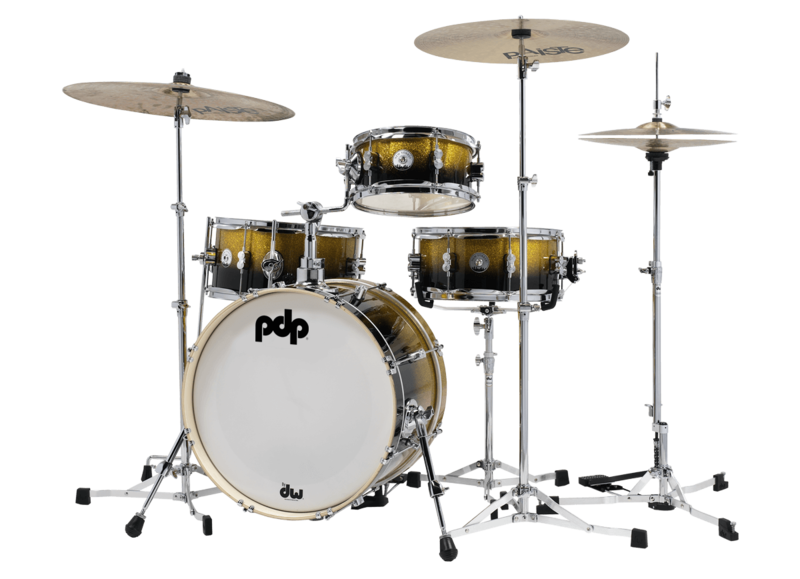 Gig-friendly, highly-portable and fun to play, PDP’s 4-piece Daru Jones New Yorker Drum Kit comes complete with DW 6000 Series Ultralight Hardware and nylon bags for everything! 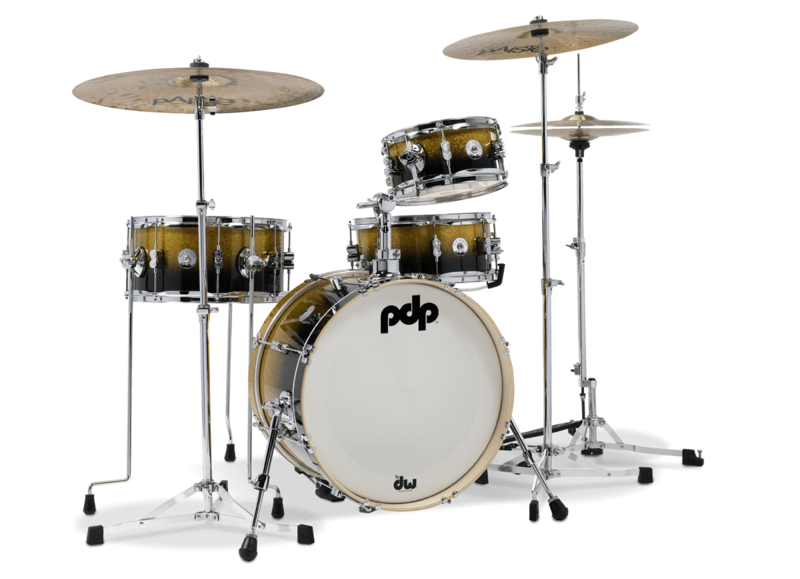 The DJNY rig combines hybrid poplar/maple shells with “short stack” drum dimensions for a kit that sounds remarkably big and warm for its diminutive size. 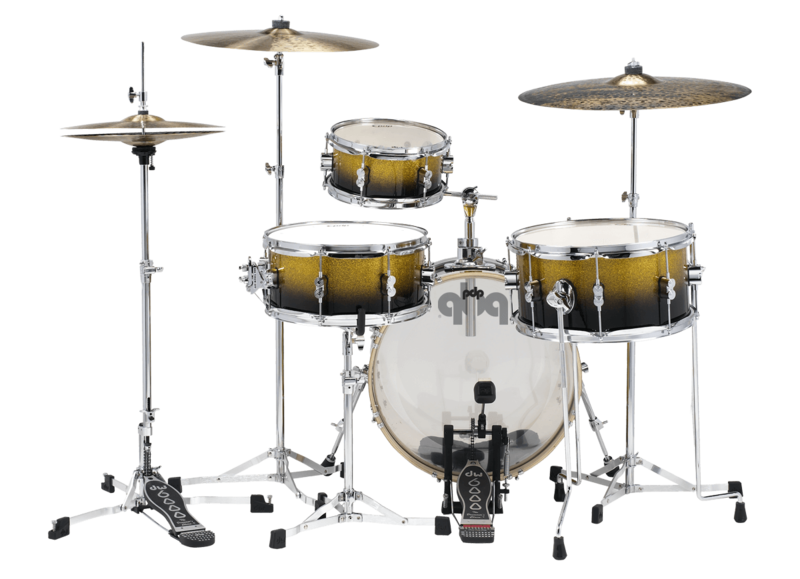 And its striking appearance comes courtesy of a large-flake, Gold-to-Black Sparkle Fade lacquer finish. 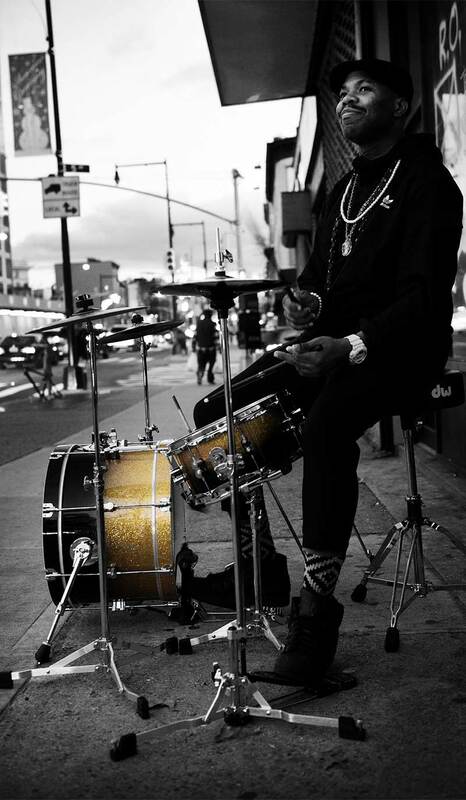 The DJNY kit sports our dual-turret lugs, DW’s industry-leading True Pitch tension rods, world-class drum heads from Remo, and a bass drum mount with a low-mass, ratchet tom holder. 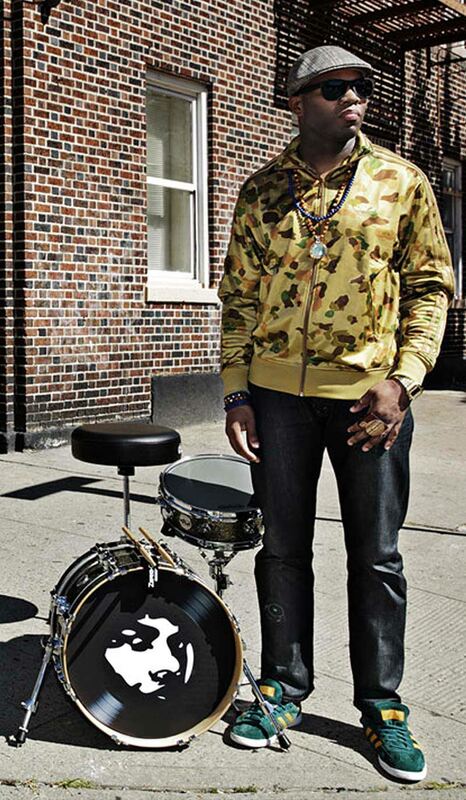 All of the drums are built with a single row of lugs, and the snare includes the innovative MAG throw-off. 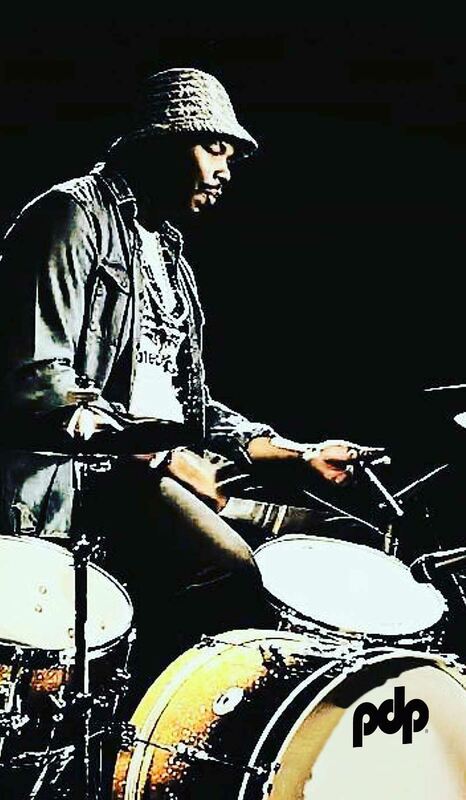 At PDP, we are proud to have Daru Jones’ name on a drum kit as unique as his playing. Daru would settle for nothing less – and neither should you!